Tagged Under : benefits, budget, cost benefit analysis, defined benefit, fiscal policy, government, Illinois, social security, taxes, U.S. The government is basically running the equivalent of “Honey I Shrunk the Kids’ Wealth.” Prof. Modigliani and I argued (Rethinking Pension Reform – Cambridge Univ Press), that we need to extend retirement age, raise taxes (because we blew the surplus that could have been used to convert SS to partial funding), but invest the funds sensibly and this goes in exactly the opposite direction! 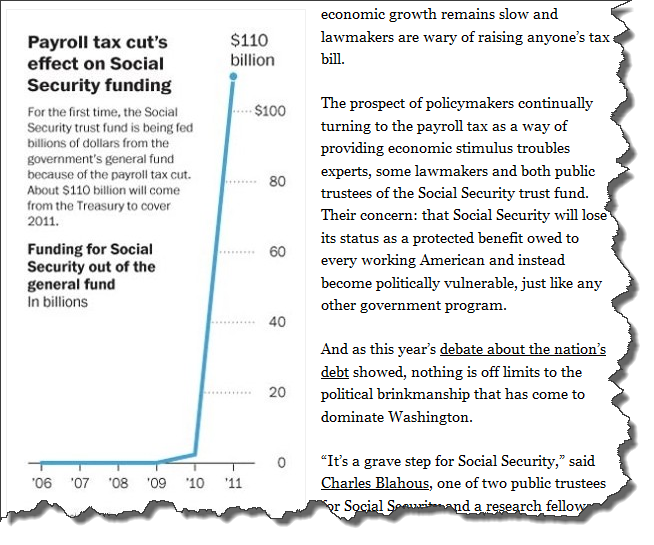 The worst problem with SS is not the DB, but the funding method, and this payroll cut worsens the problem.